I love used bookstores, and if the used book store has a coffee shop, I will think that I have somehow passed from this life into my great reward. I remember my ex did not like going shopping for books or shoes with me, the shoes because I am hard to fit, and the books because I never want to leave the store. Any other shopping experience for me is nothing less than a hunting trip. I know what I want; I go in and get it; I get out. But after a leisurely time in a used bookstore one day some time ago, I picked up the copy of Edna St. Vincent Millay’s book, A Few Figs From Thistles, the one pictured in the video. It’s the expanded edition with a few poems not published in the first 1920 version. The lady at the counter looked at me over her glasses when I handed her the book. But after a leisurely time in a used bookstore one day some time ago, I picked up the copy of Edna St. Vincent Millay’s book, A Few Figs From Thistles, the one pictured in the video. It’s the expanded edition with a few poems not published in the first 1920 version. The lady at the counter looked at me over her glasses when I handed her the book. But what I like about her is her honesty, no false nobility, no taking herself too seriously. 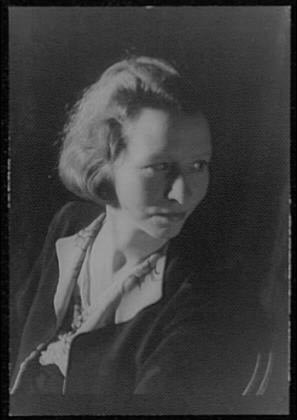 Whatever she may have been, Millay was, it seems, truthful, and her satire and bite seemed tamed with a heart of kindness in her work, as evidenced in poems like “Recuerdo.” You can find the text of the entire little booklet at Digital Library. The images in the video are from my balcony and back porch, and the ugly little courtyard that I am trying to make homey. “Savage Beauty” is a wonderful biography. Nice sunburst, BTW, and I’ve been hunting around Amazon for birdbaths. I was suprised at how reasonably priced they are. Going to stick one in the clover and the Queen Anne’s Lace! What a romantic poem about a free spirit read beautifully. Once again I LOVED you preamble about finding Edna’s book etc as much as the reading. I too am a bibliophile who loves coffee and red wine!!!! Well if we ever sit at the same table we will start with red wine and end with a good strong coffee. 🙂 I’m glad you like the stories I tell, because at heart I always thought I was more writer than performer. This month just steps up the performance part a good notch or there. I truly love your writing and your performance poetry. Make mine a good Chateauneuf du Pape or Shiraz and end with a good Java coffee bean by the way, Thanks!!! I LOVE Shiraz and have not enjoyed a Chateauneuf du Pape in far too long. Thank you! How are the widgets coming, by the way? Thanks so much for this. Millay is one of my favorite poets. Well done! Hey, thanks for listening! I appreciate it.